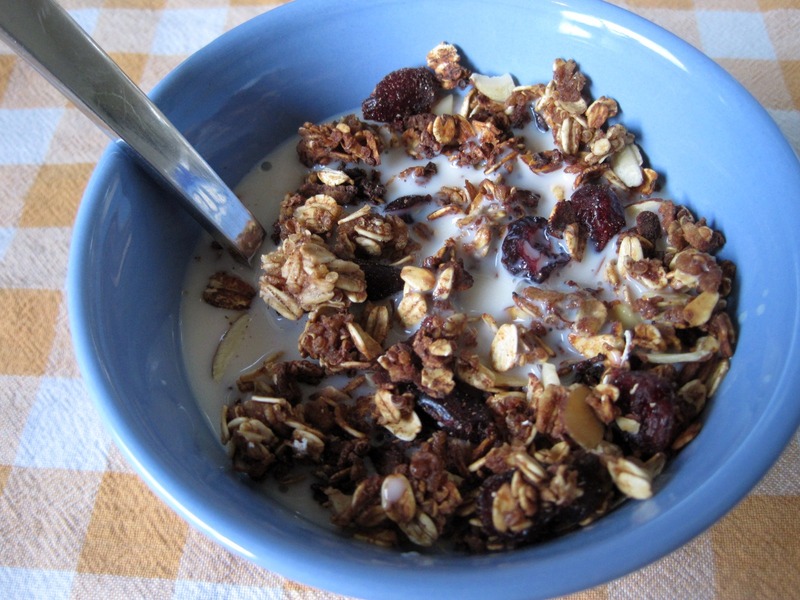 Oh how i am loving a bowl of granola for breakfast lately. So tasty and fills you up! Yummy. 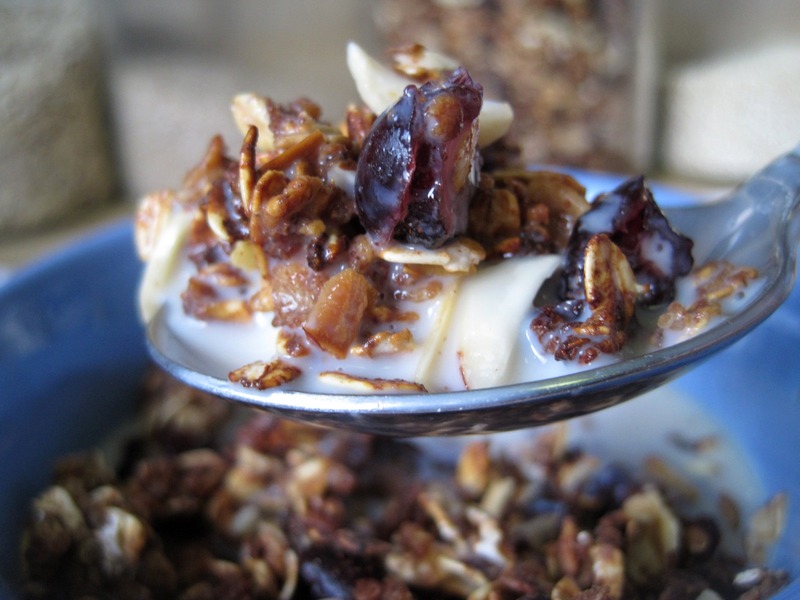 You know what I don’t love about granola…the cost! Geez it’s expensive for what it is… plus being gluten free always adds at least an extra dollar, right? 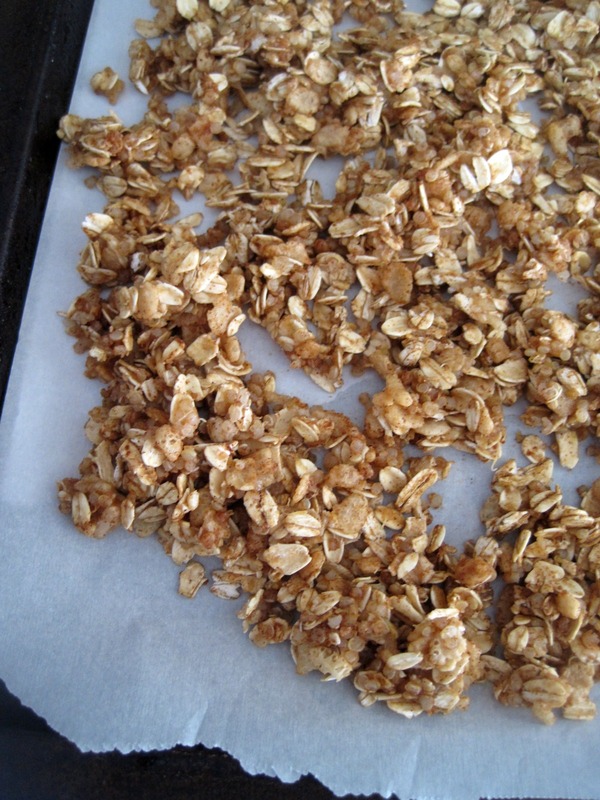 I thought i should be able to make granola, it can’t be hard at all…and guess what, it’s not. 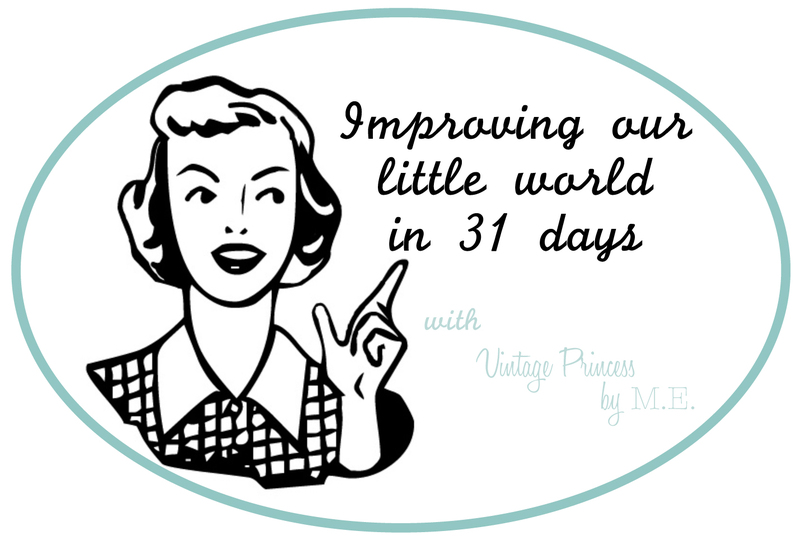 It’s cheaper and it’s better for you. Simple Right. Now let me explain my “ish” measurements. I say “ish” because this is granola, and really I don’t think you can mess it up. If you would like less oatmeal, go for it. More almonds, go for it. Maybe you only have 3/4 of applesauce let in the jar…that will work. Its all good, it’s granola. 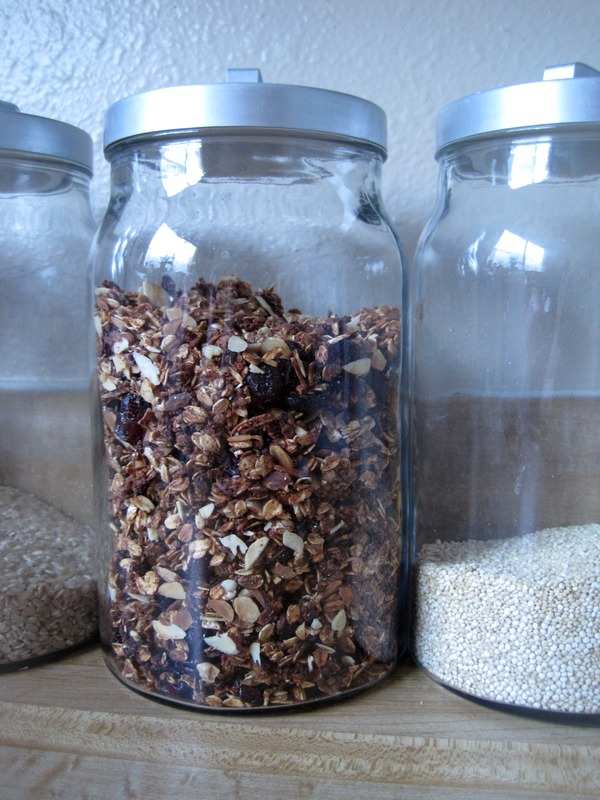 Store your Granola with cranberries and almonds in an air tight container, it only lasts about a week in our house, we all devour it, but I would think it would last up to two weeks. Not only is this home made granola super healthy, notice NO oil, it’s cheaper to make your own, I have calculated it costs about $2 to make the same amount that you buy in a box for $5. Not a huge difference, but a savings for a better granola. It’s whats for breakfast in our house.